July 2017 - Hello! Welcome to my blog! 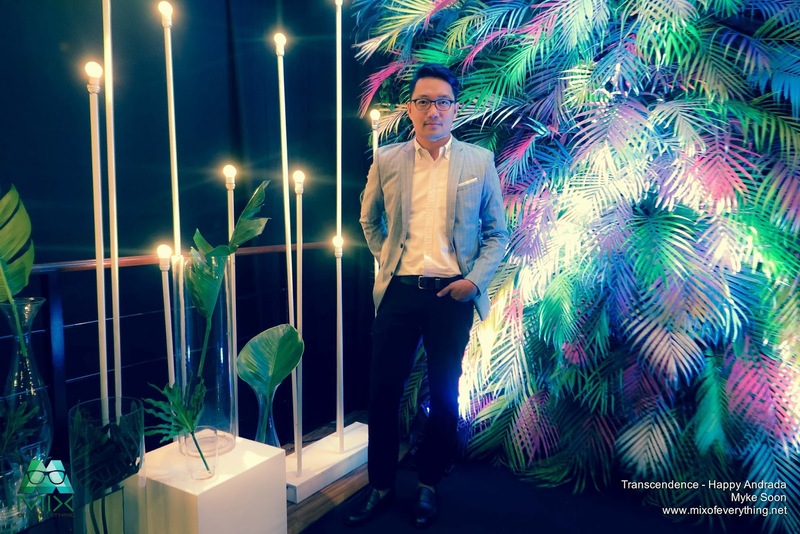 I was invited by a friend to attend a fashion show last Friday. 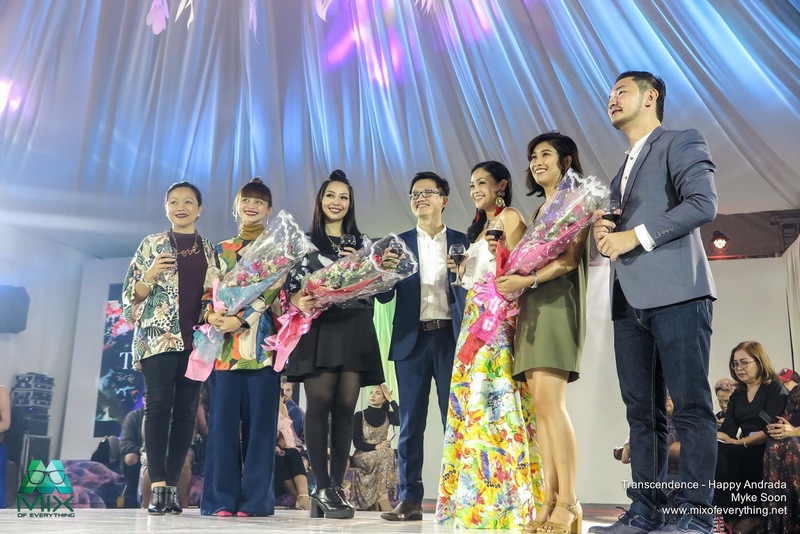 He said I'd like it and that it's going to be different so I obliged, all I know is that it's a fashion show of Happy Andrada in partnership with Norde. I didn't have any idea really what Norde was at that time other than a printing company. I arrived EDSA Shangri-La early, registered and waited a couple of minutes. 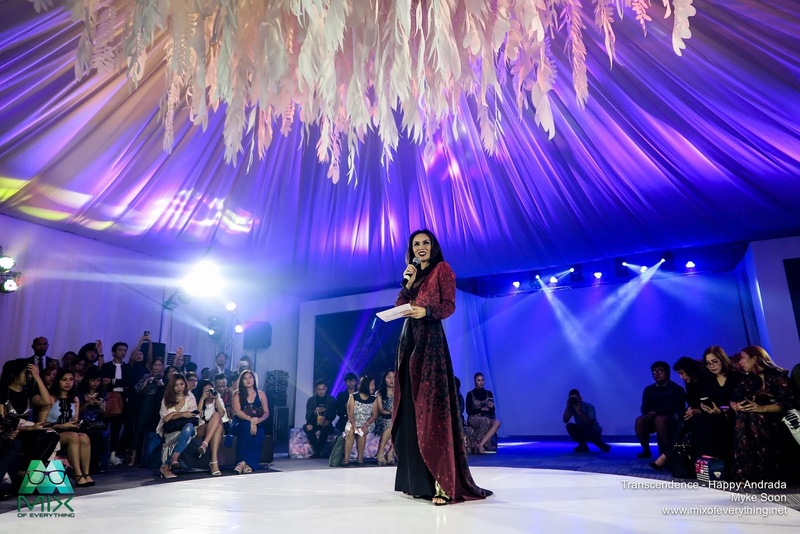 When it was time, guests were welcomed inside the venue where there were an exhibit of photos and fabrics and also some other applications. 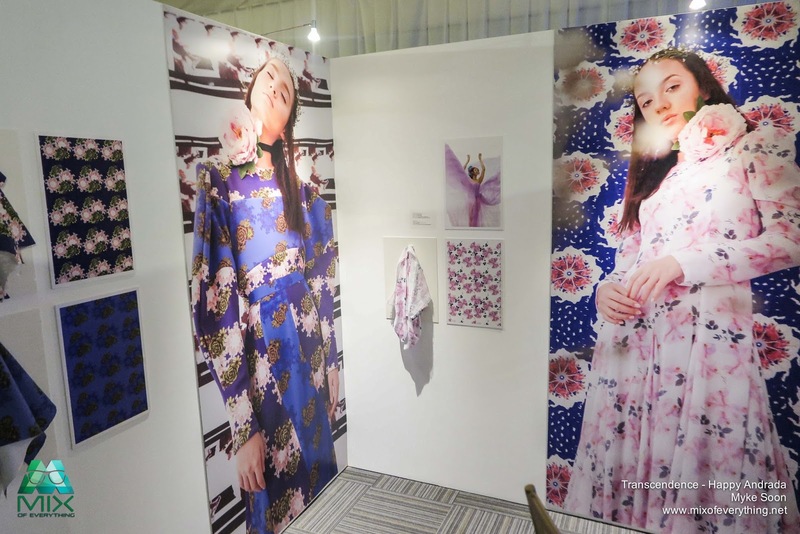 NORDE International is a company that's leading the innovation of textile printing technology. 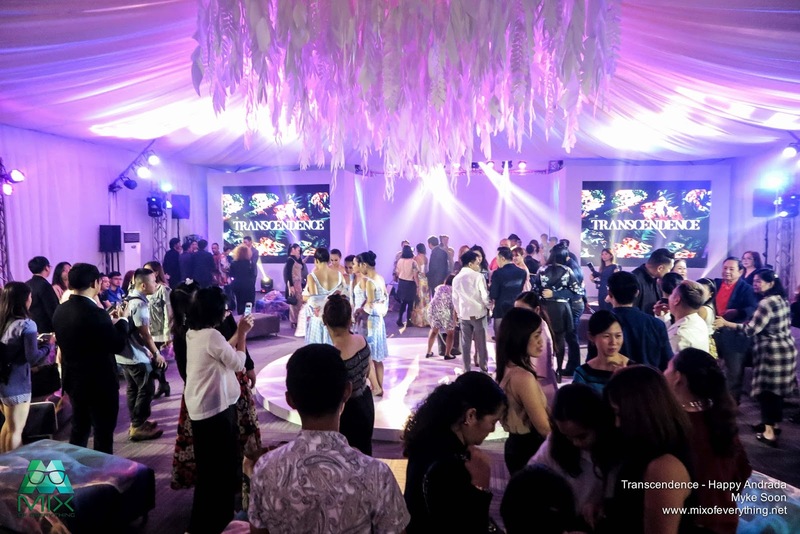 Together with Kornit Allegro, they revolutionized fabric customization by launching a fashion collection with Happy Andrada called TRANSCENDENCE. 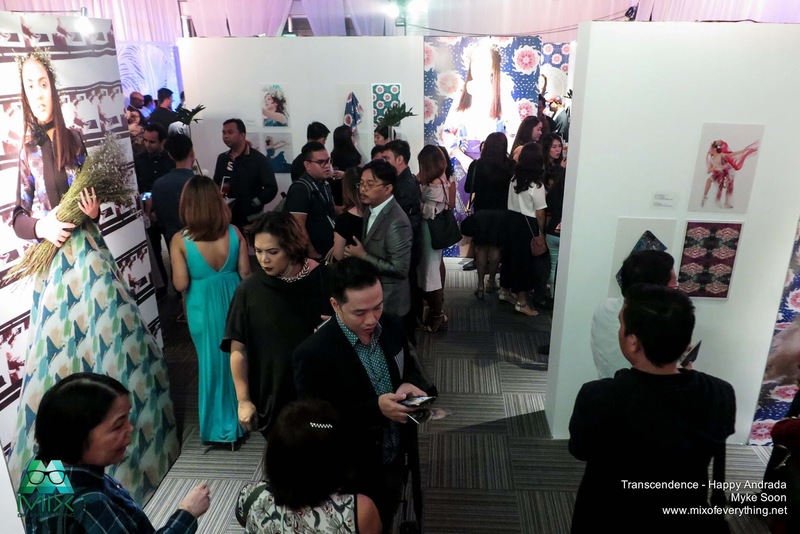 Together with other collaborators for the print exhibition they created a really nice setup capturing the them of the night. 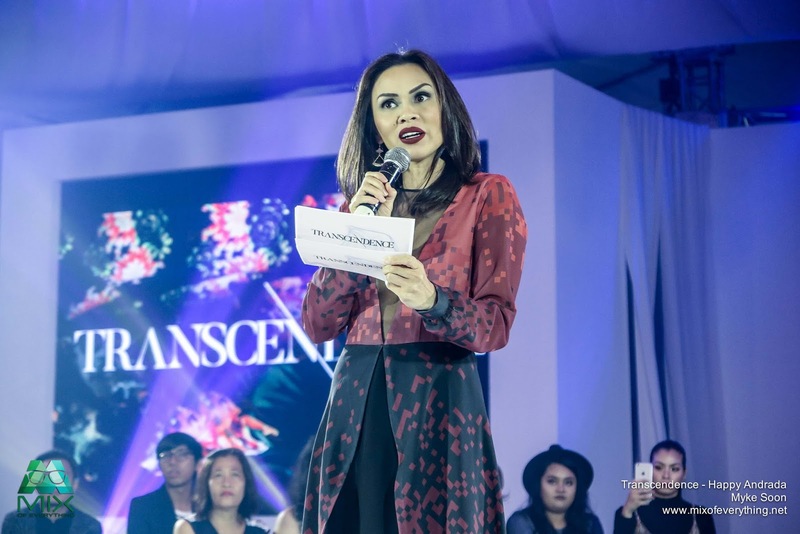 They partnered with Artists and Company Manila and Moss Manila. 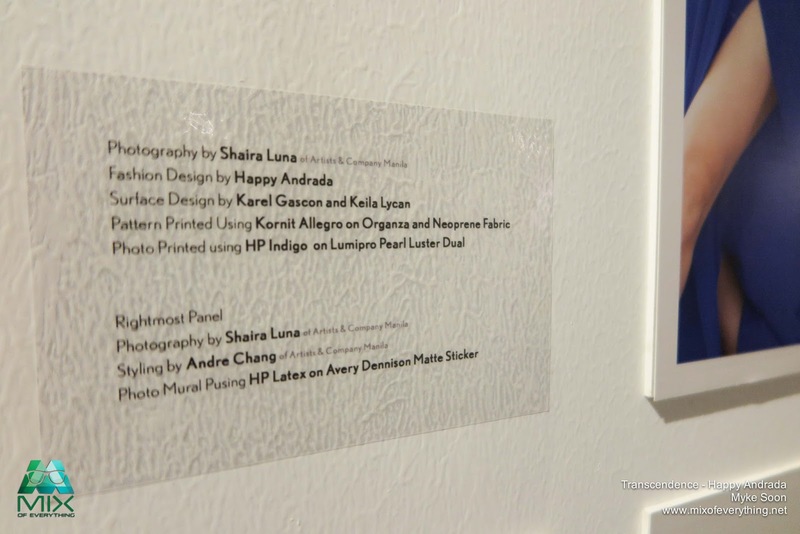 Artists and Company's photographer, Shaira Luna took the photos of the models wearing the designs of Happy Andrada. 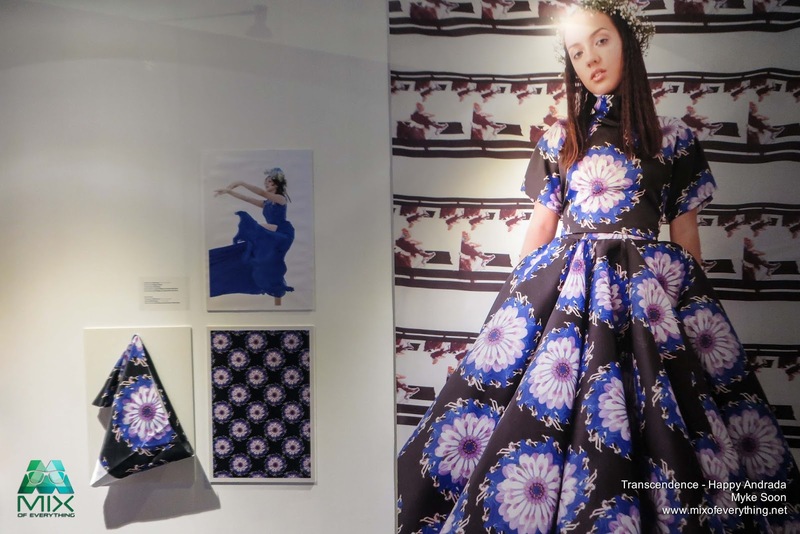 Each photo exhibited shows different patterns digitally printed on different fabric materials from chiffon, tulle, organza and even more complicated ones like duchess, piña fabric, and spandex. 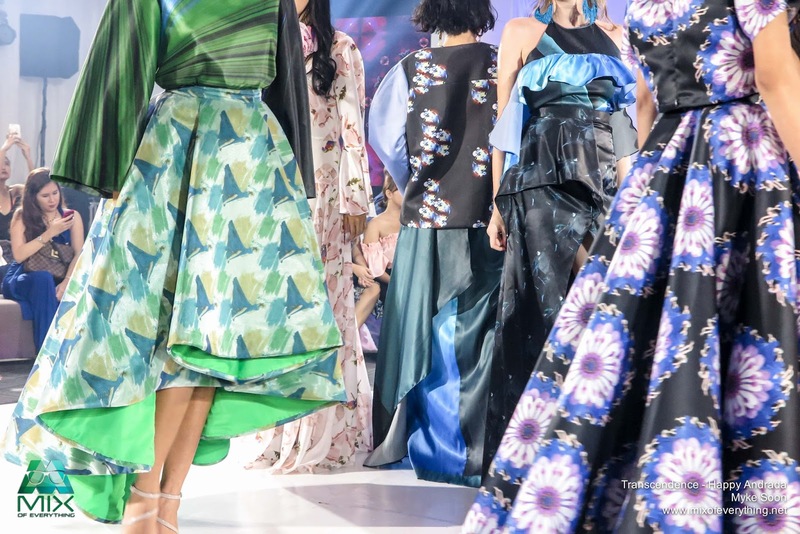 Thanks to Kornit Allegro making it possible and being the true digital solution for textile printing making it possible to print on wide variety of fabrics. 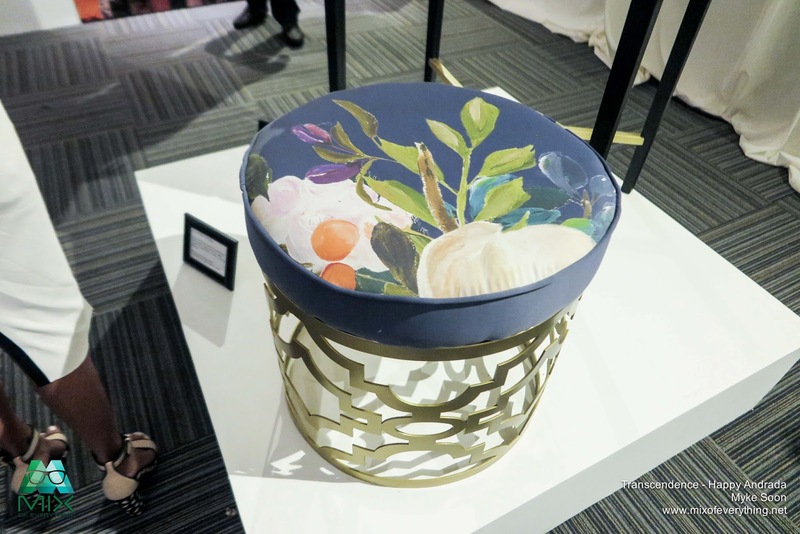 Check out this beautify chair using a fabric printed cover. 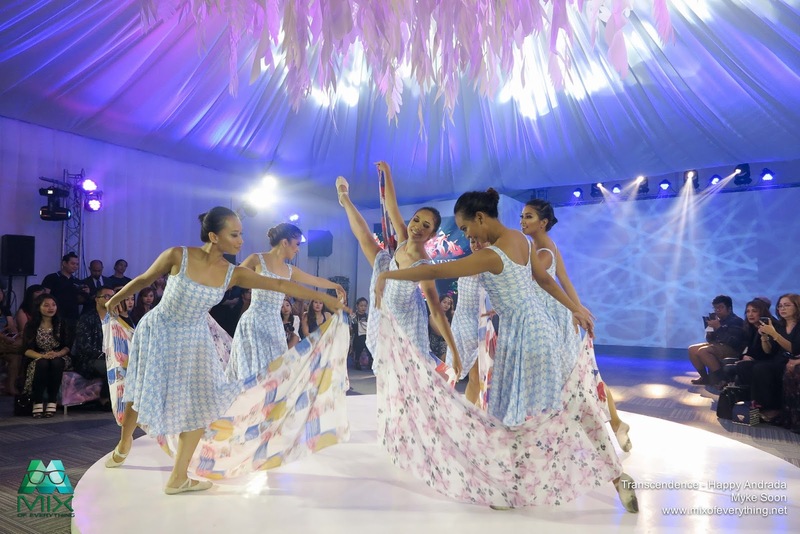 Kornit Digital’s exclusive partner in the Philippines, Norde International, proudly welcomed the Kornit Allegro as its newest addition to their fleet of industrial printing solutions earlier this month. “The Kornit Allegro is an entire production process in one system. 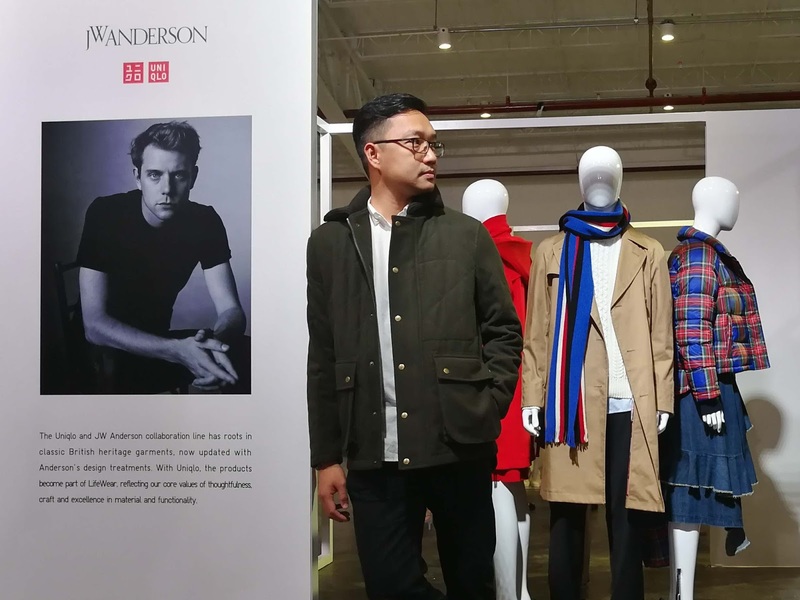 No pre- or post-treatment is necessary to print on a wide variety of fabrics.” Sandy Lui, Marketing Director of Kornit Digital-Asia Pacific said. 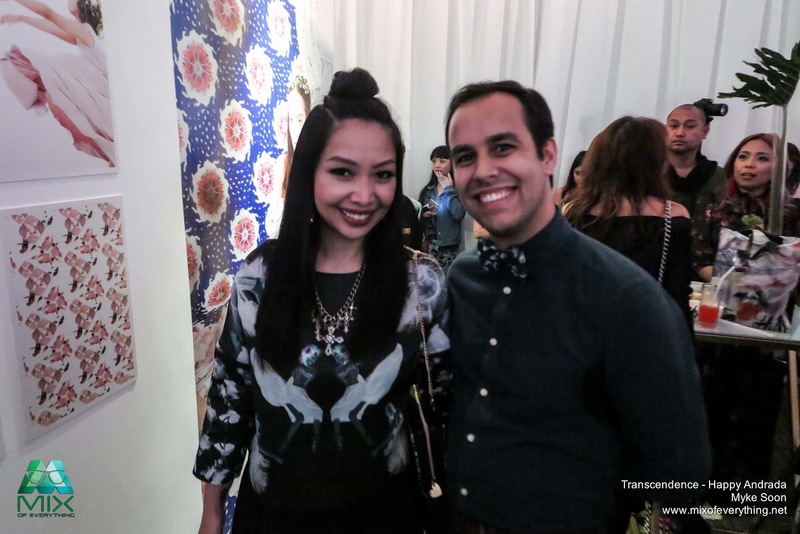 Hosted by Issa Litton who was also beautiful that night wearing a Happy Andrada piece. 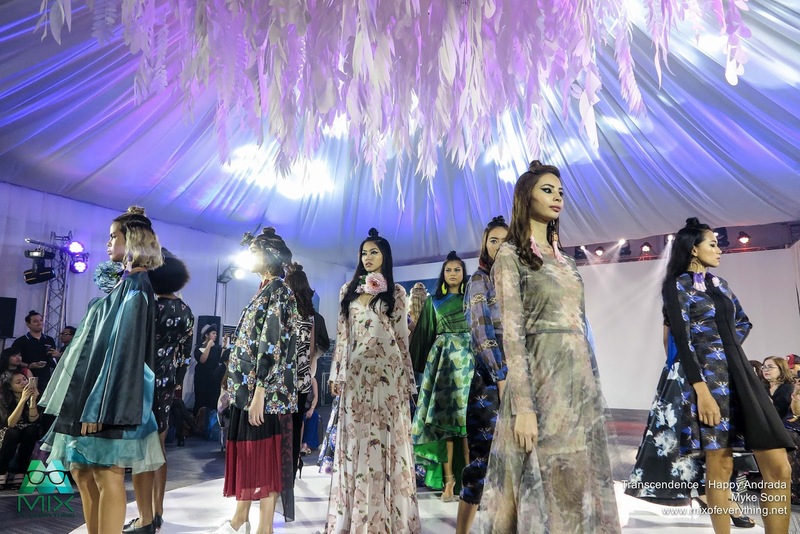 Happy Andrada’s 31-piece collection is the first Filipino-designed RTW and couture collection designed entirely out of customized fabrics with NORDE and Kornit Digital. 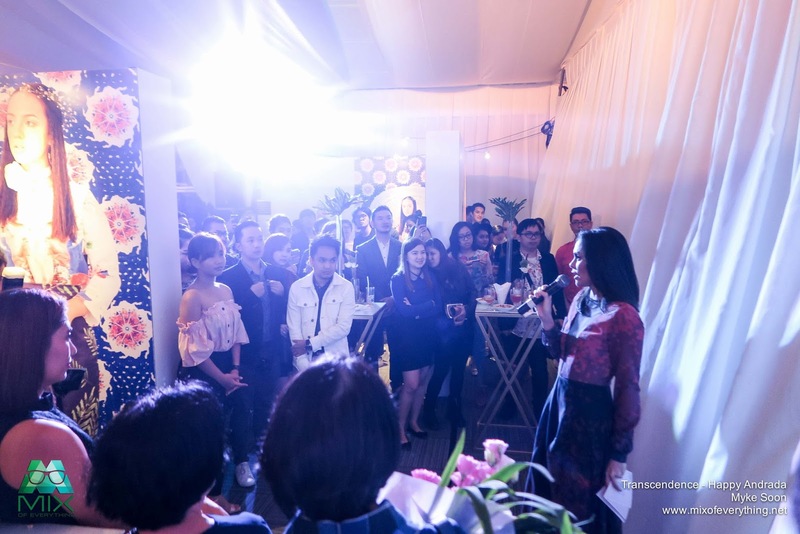 “This partnership with Happy embodies how far we can transcend the power of fashion design with the right tools. 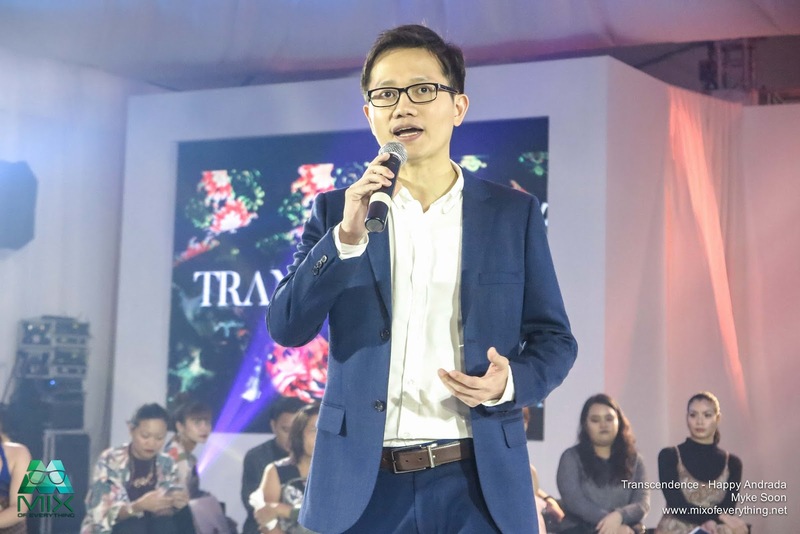 Now, fashion designers can make their own collection by starting with a design that they made themselves. 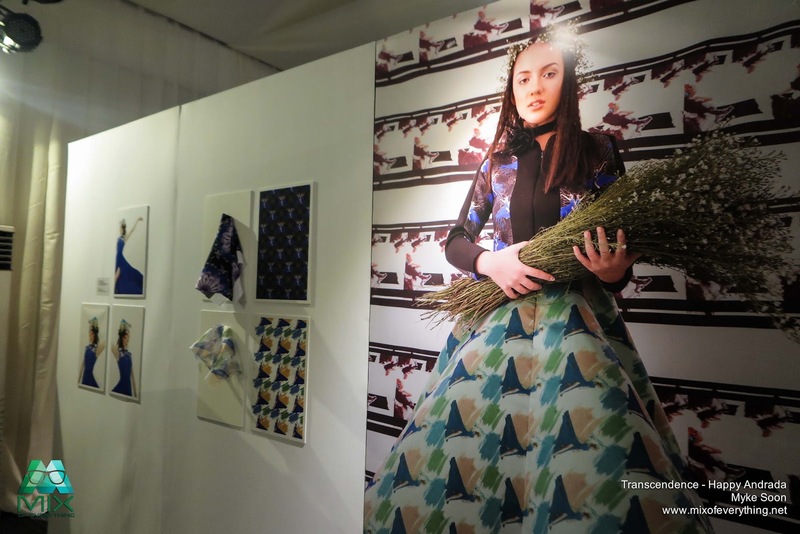 Photos and patterns can now be printed on a wide array of fabrics easily. 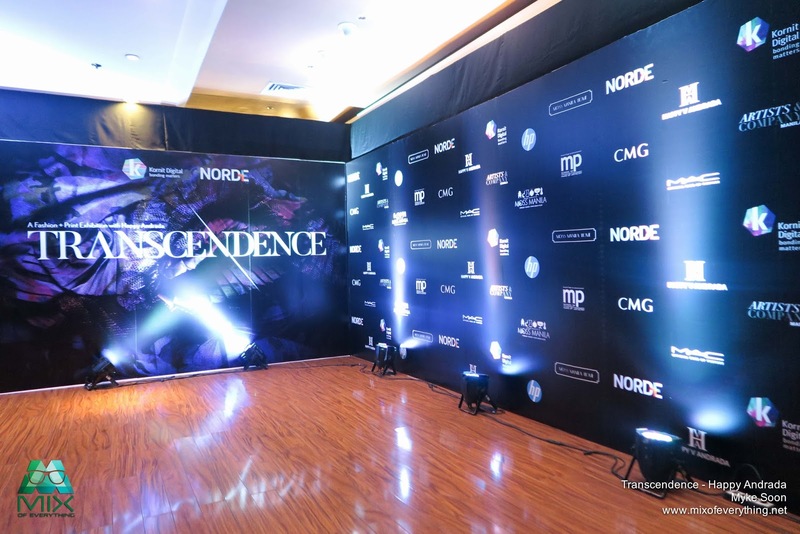 Fashion reached a new level of meta tonight.” said Denis Ragos-Ty, Marketing Manager of Norde International. 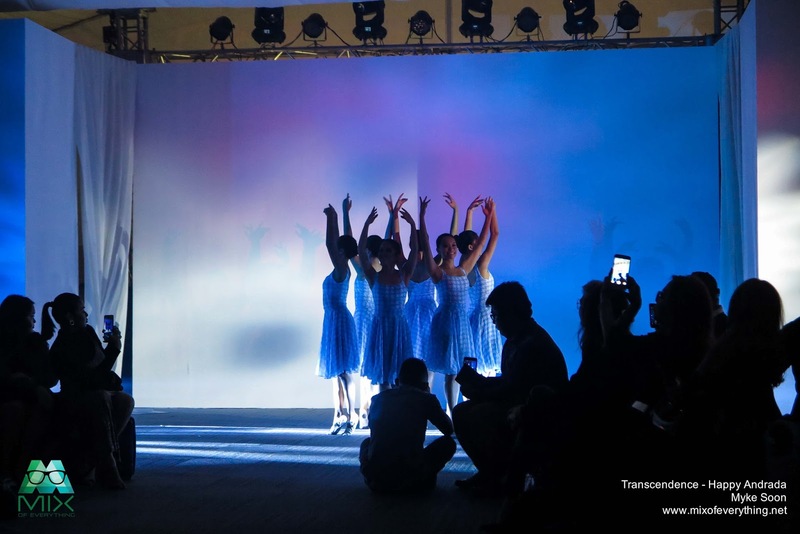 The show started with a short behind the scenes videos, which can be viewed here and also some ballet dancers wearing a fabric printed dress. After the dance performance introduction, one after the other, the collection of Happy Andrada strut the stage. Check out some of the pieces I liked. Feel free to check out more photos on my Facebook page here. 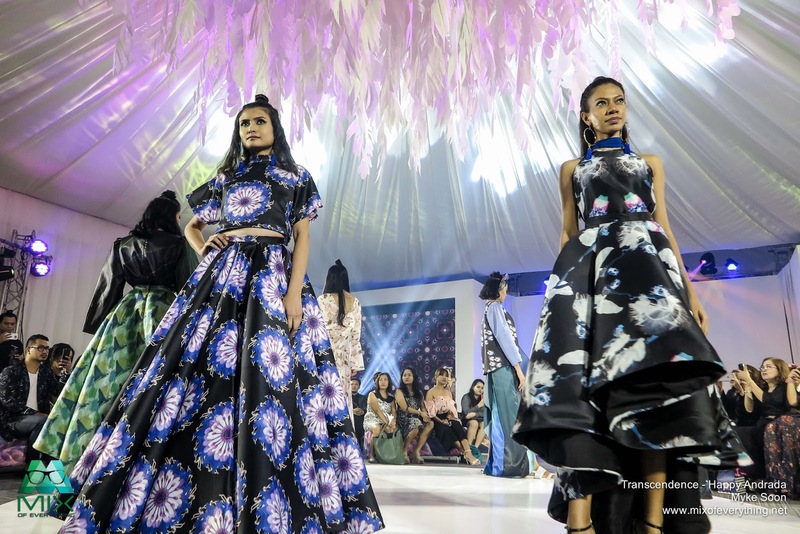 Textile customization is now available in the Philippines. 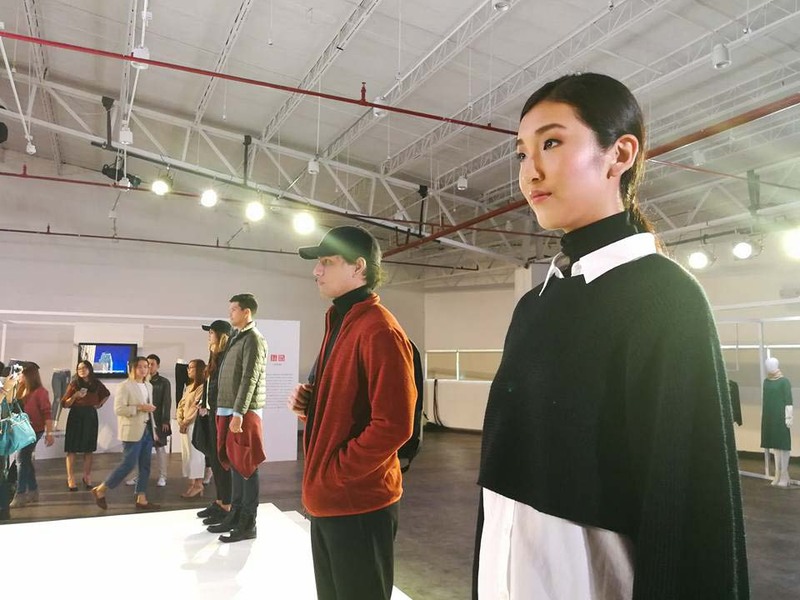 Textile manufacturers can now produce their own designs, enabling artists with this technology as they reach the next level of fashion and design. 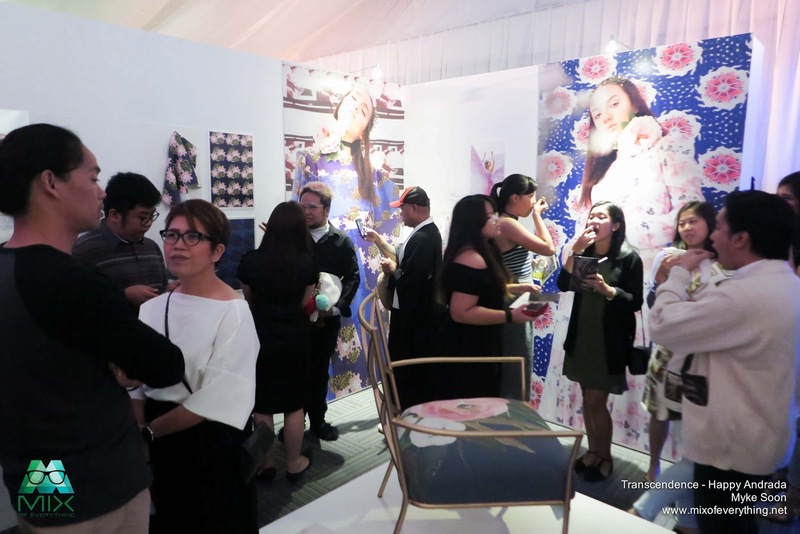 It was really amazing to see some digital designs made into a kaleidoscope layout then printed in a fabric and worn or covered on some art pieces. Truly the possibilities are endless and Norde and Kornit couldn't have picked a better designer to work with other than Happy Andrada. Cheers to you both and I look forward to you guys pushing the limits of art, design, fashion and printing. 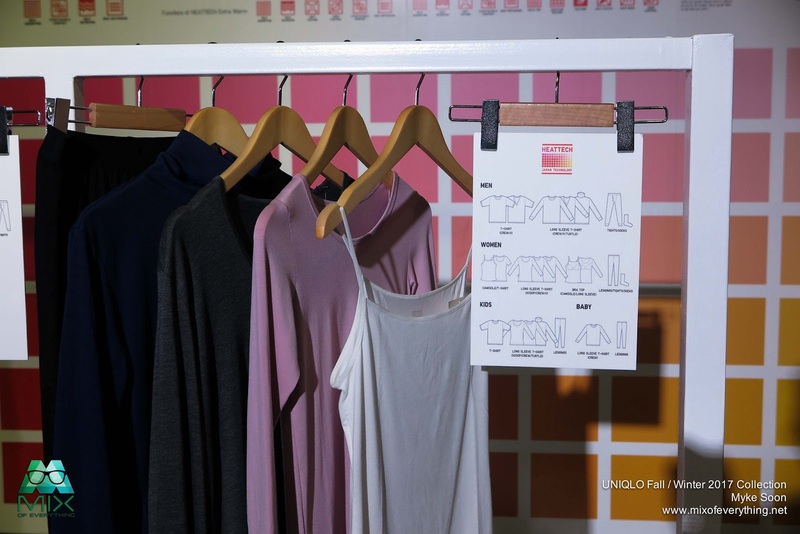 Now, designers can exceed the possibilities of how they can further personalize their collections. Cheers! SIX SMARTPHONE SECRETS FOR THE SLASHIE: Huawei P10 features that you need to know about now! 1. Touch. Hold. Swipe. Screen Navigation is made easier and smarter with the innovative fingerprint sensor in Huawei P10. 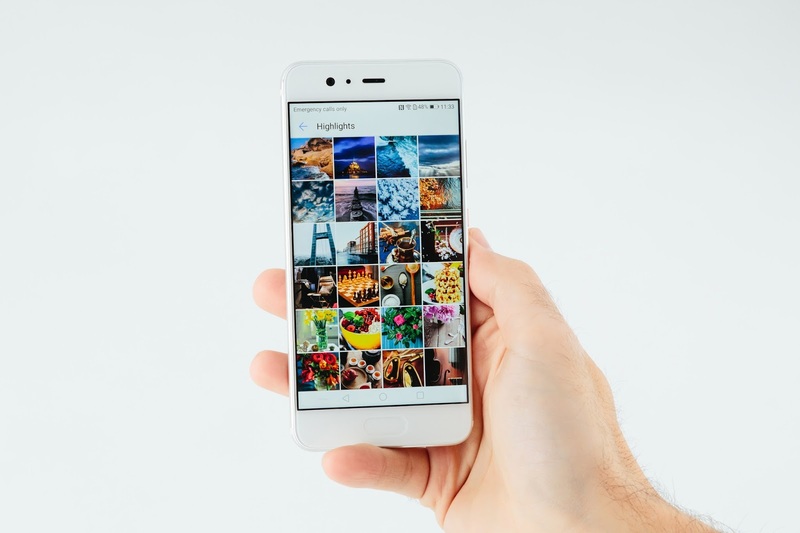 Aside from the fingerprint lock, the front facing fingerprint sensor also serves as a navigation key and allows you to perform navigation gestures. The simple touch, hold and swipe navigation gestures perform several operations at speed. On top of that, this one-button navigation frees up your screen space, making it look bigger. Another impressive feature of Huawei P10 is the ability to perform operations with the use of your knuckles. These knuckle gestures come in handy when you need to open your frequently used applications in an instant. Just by drawing a letter with your knuckles, it allows you to open the corresponding app even when the screen is off. For instance, drawing the letter C allows you to open the Camera App. The Huawei P10 steps up its game in taking screenshots. Its screenshot features include full, partial and scrolling screenshots. Just by knocking the screen firmly with your knuckle twice, it allows you take a full screenshot. It even goes far as capturing screenshots with your desired shapes and a scrolling screenshot that captures screenshots longer than one screen. With these, it gives you more options on how accurate and precise you want your screenshots to look like. Not to mention that this smart screenshot feature will save you a few taps on the screen! 3. Need to multitask? No problem. Viewing two apps at the same time is made possible with Huawei P10’s Split Screen Mode and Multi Window Mode. Just by drawing a line in the middle of the screen, it allows you to have two apps running at the same time. The P10 also has the ability to resize the window and move it anywhere across the screen. These features are a lifesaver for most people since you can text and watch videos at the same time. You surely won’t run out of apps to view at the same time with the split screen mode and Multi Window Mode. Got no USB cable or screen recording app? We got you covered! The Huawei P10 has a built-in screen recorder tool, making screen recording effortlessly possible. By just knocking at the screen twice with two knuckles or pressing the volume up and power buttons simultaneously, it can start and stop a screen recording. 5. One-handed operation or with gloves on. Do you find the phone too big? No worries, the Huawei P10 has the one-handed UI feature that enables screen navigating with one hand easier. It shrinks the screen down in the corner and make apps easier to reach with one finger. Also, texting with your gloves on is not a problem with this device. The P10 has a ‘Glove Mode’ feature that enables you to touch the screen even when wearing gloves. This is perfect when you need to text or call someone but you can’t take off your gloves just yet. The Huawei P10 and P10 Plus retail at Php 28,990 and Php 36,990, respectively, and are available via Huawei Experience Stores and retail partners nationwide. Available color variants for the P10 are Greenery, Dazzling Blue, Prestige Gold, and Graphite Black. The P10 Plus comes in Dazzling Blue, Dazzling Gold and Graphite Black. Huawei P10 is also available via Globe ThePLAN 1799 for FREE. The plan comes with 11GB of data, Unli-AllNet Texts and Unli-Calls to Globe & TM, Netflix access for 6 months, Spotify Premium access for 3 months, HOOQ access for 6 months. Alternatively, the Huawei P10 is also available at 0% interest for 9 months via Home Credit with no credit card needed, and at 0% installment via any credit card for 6 and 12 months. 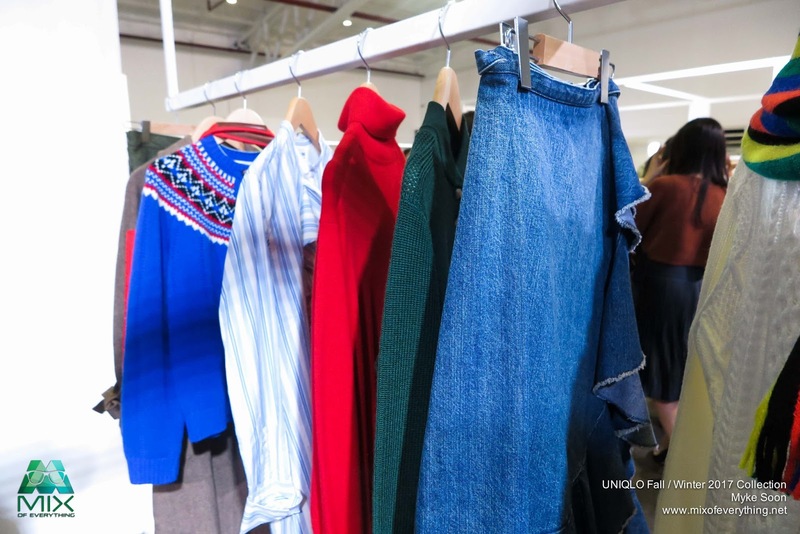 UNIQLO launched their Fall / Winter 2017 collection last July 27, 2017 at the Canvas Events Place in Chino Roces, Makati City. 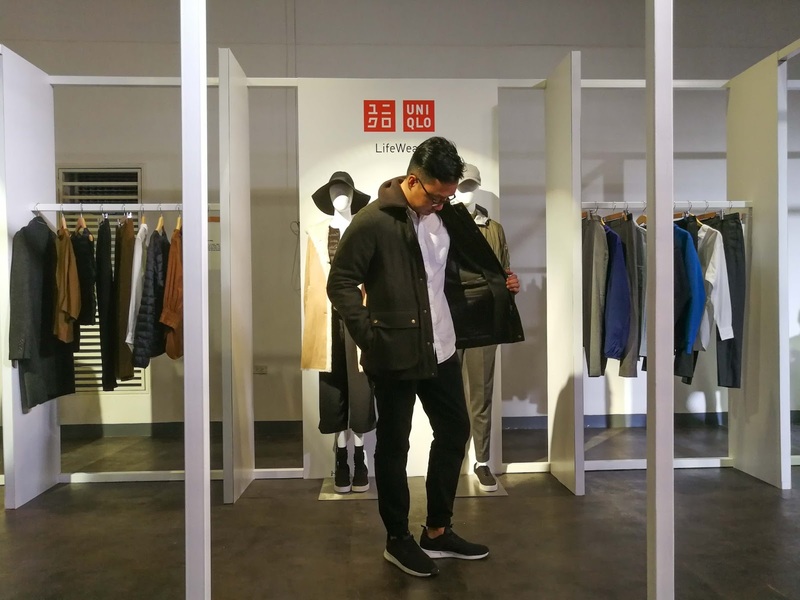 Even though we don't have Fall or Winter season here in the Philippines, UNIQLO still makes these collection available in their stores. 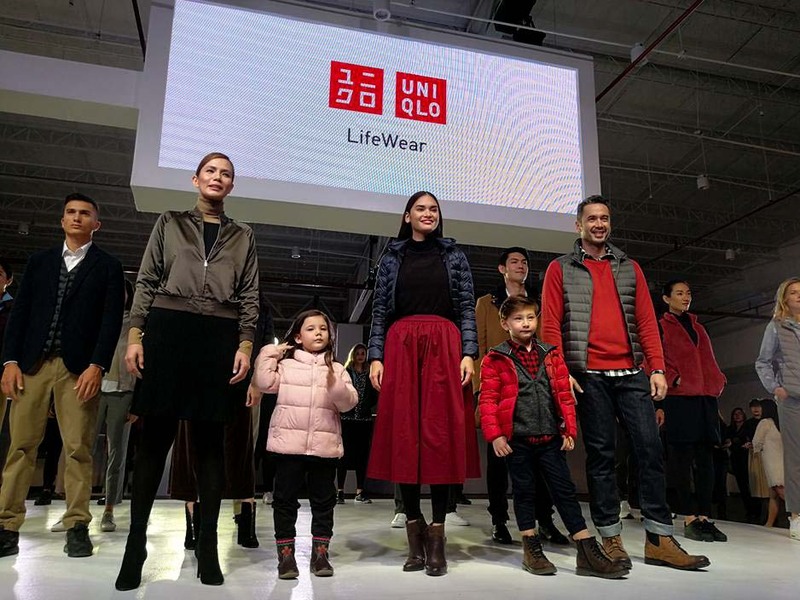 LifeWear, is UNIQLO's answer to make everyday life better and more comfortable with their thoughtfully created clothing design. 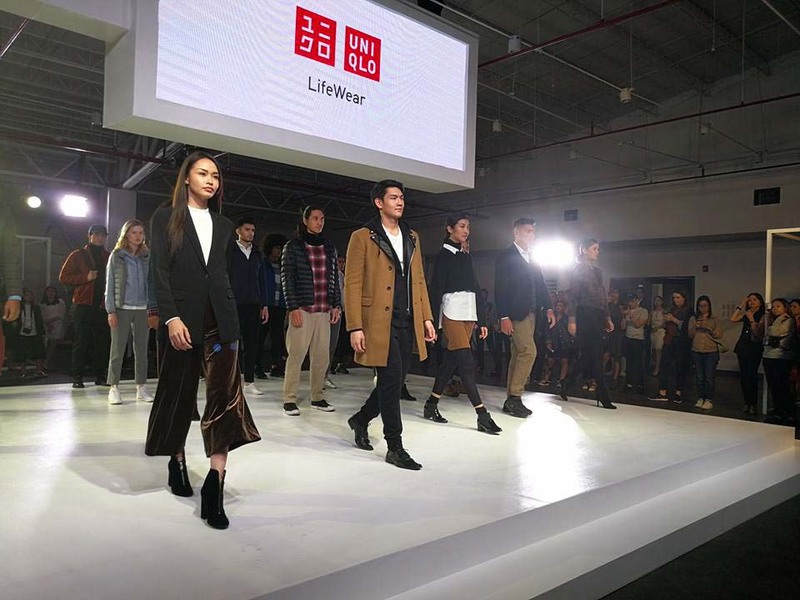 An apparel that has Japanese values of simplicity, quality and longevity, LifeWear reflects that brand's commitment to perfection in design, fabric selection, cut and of course color. 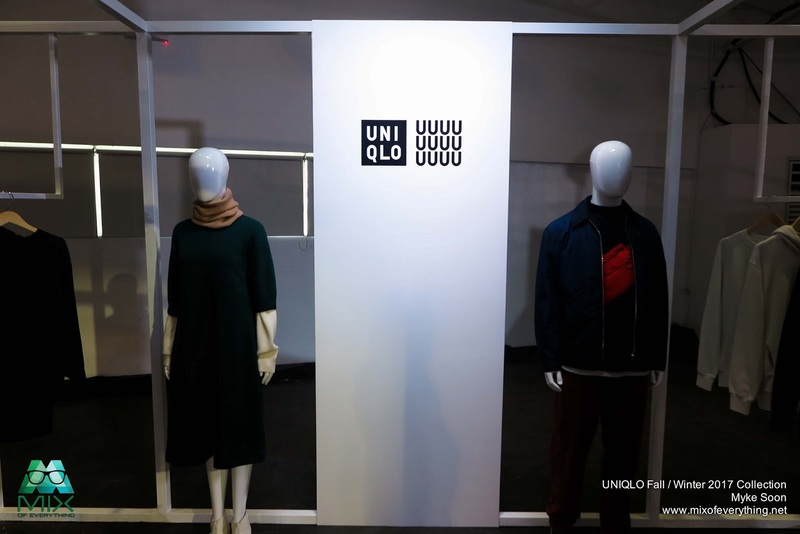 During the launch, they also showcased different collections that will cater to the diverse market that UNIQLO has. Different personalities, styles and lifestyles. 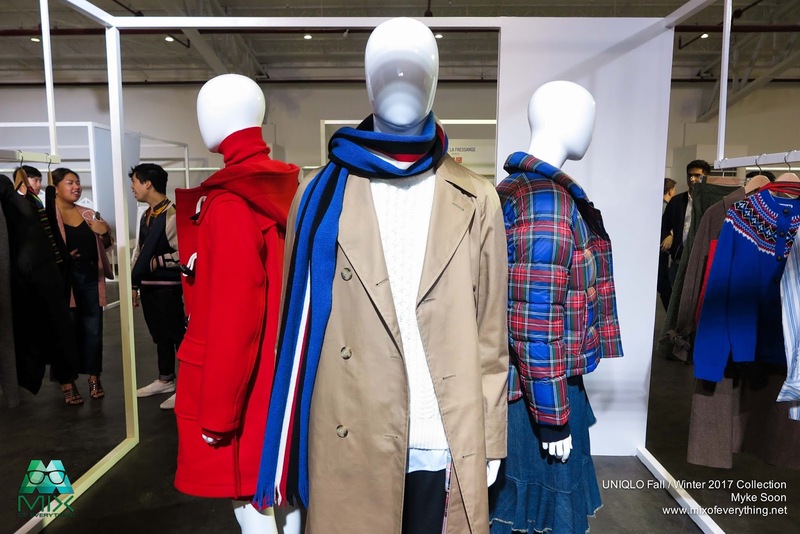 They featured the Ultra Light Down, Airism and HeatTech on their booths and there, representatives of the brand shared a bit more info of the different UNIQLO technology that was put into their apparel. 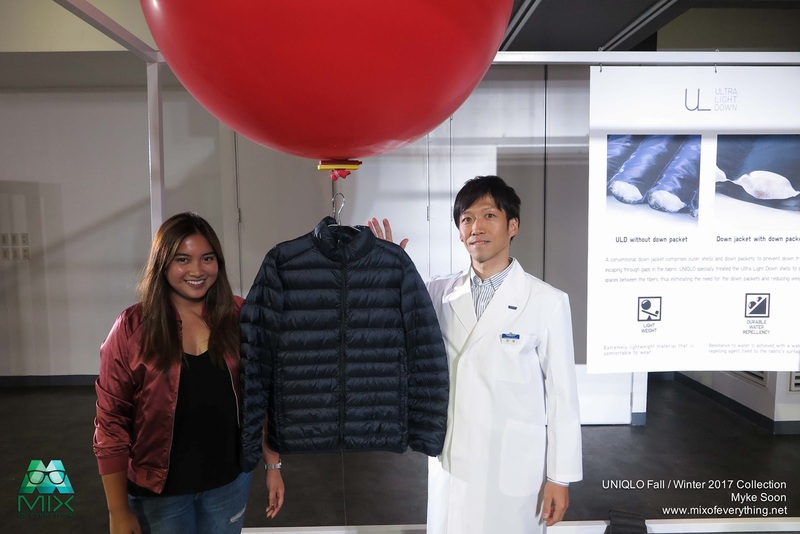 In the Ultra Light Down booth, they hanged the Ultra Light Down Jacket into this big balloon and it was indeed light that a big balloon can make that jacket float. 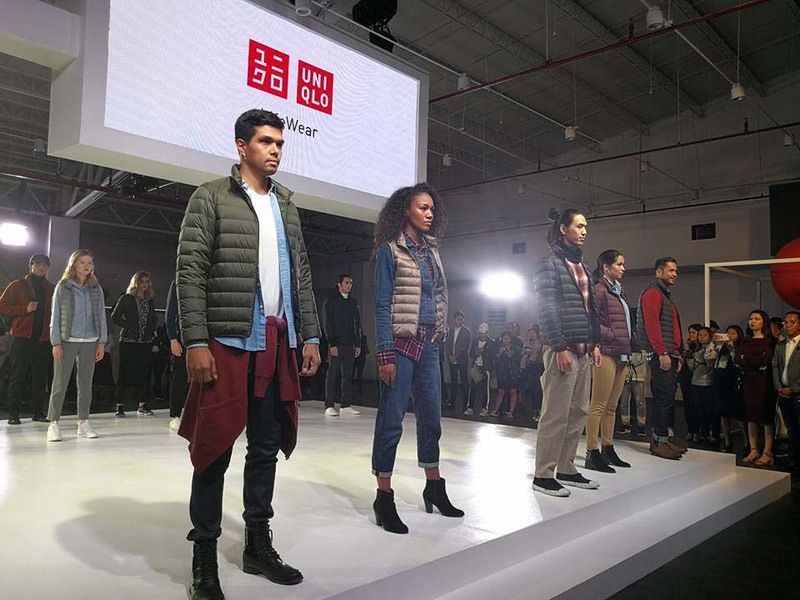 They tried using similar jacket but not a UNIQLO brand and it failed to float. 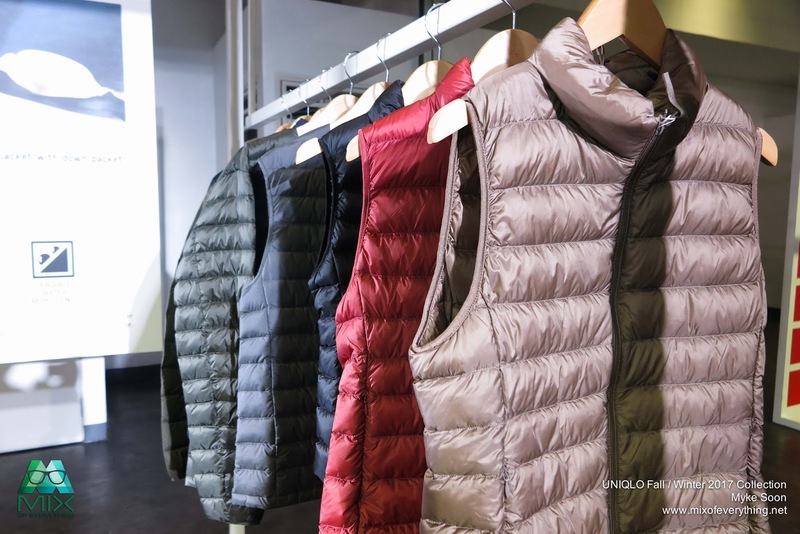 The UNIQLO Ultra Light Down jackets are made of ultra-fine fiber, resulting in incredibly light and compact pieces that can replace traditional sweaters word under coats. 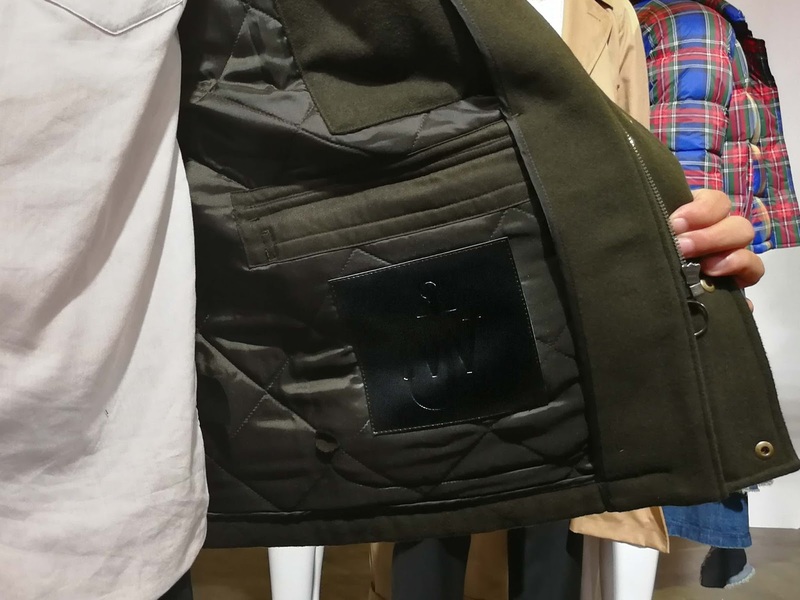 What's also nice with the Ultra Light Down jacket is that it can easily be folded into a pouch, making it convenient to be carried around. HEATTECH for those who don't know, is an innerwear that features heat retaining properties to keep you warm and a soft texture to keep you comfortable all day. Designed with Toray Industries, Inc.—one of Japan’s top fibers and textiles manufacturers, the HEATTECH line comes in three styles: HEATTECH, HEATTECH Extra Warm, and HEATTECH Ultra Warm, each one offering different levels of warmth to keep people comfortable anywhere around the world. 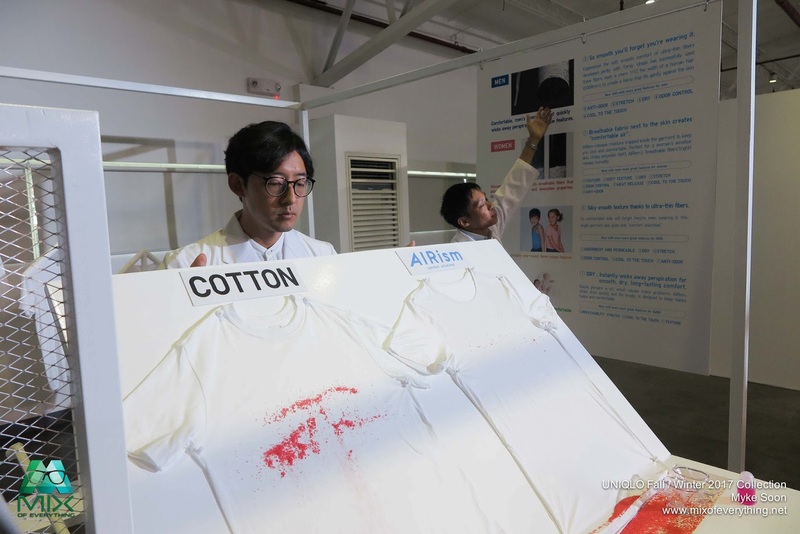 While in the AIRism area, there was a demo versus the cotton fabric where they tried wetting the shirt and also showered a couple of dirt or some really small pebbles and showed that with cotton, it sticks. In the experiment, they showed how dirt and other elements just slides off easily with the material. AIRism highlight on the comfort of the fabric, amazing how it keeps people incredibly dry. 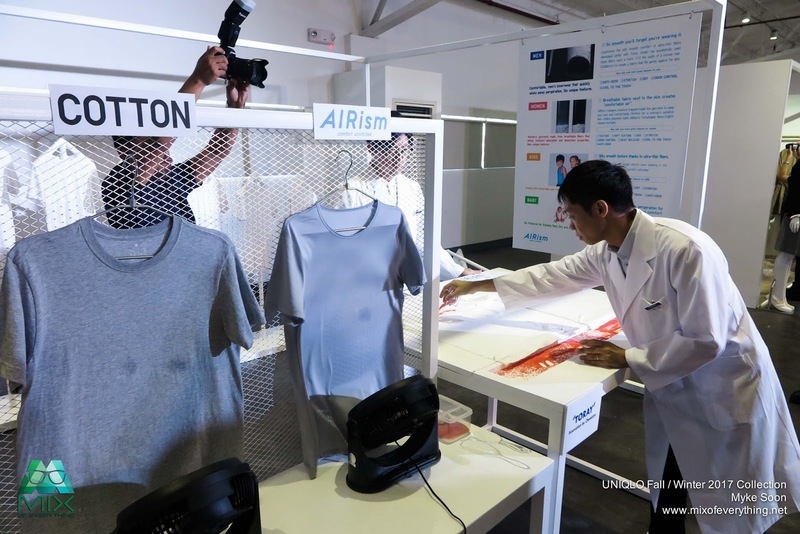 The product is a joint project with Toray and Asahi Kasei, a Japanese manufacturer of fibers and textiles, AIRism employs specially engineered fibers to breathe and wick away trapped moisture. The pieces in the collection accommodate specific requirements of men, women, children, and babies to ensure comfort for all. 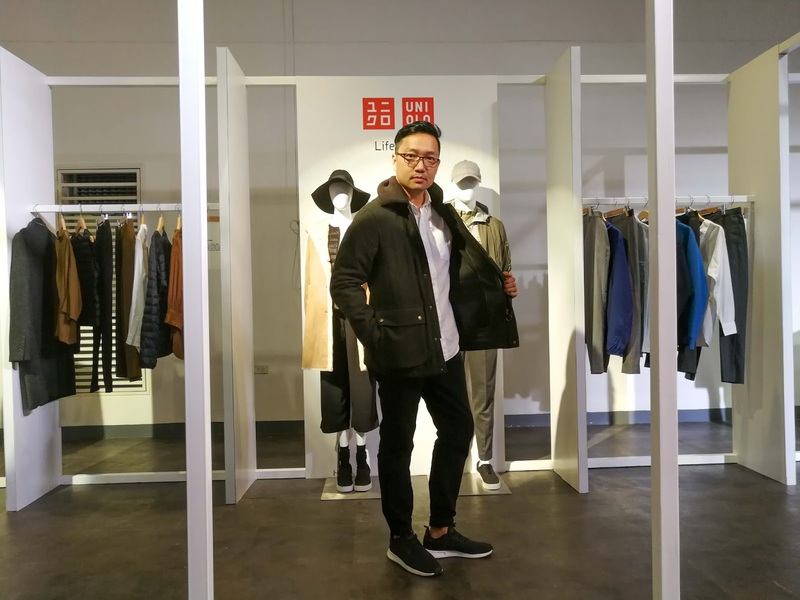 Jeans has evolved through the years UNIQLO has made these essentials even better. 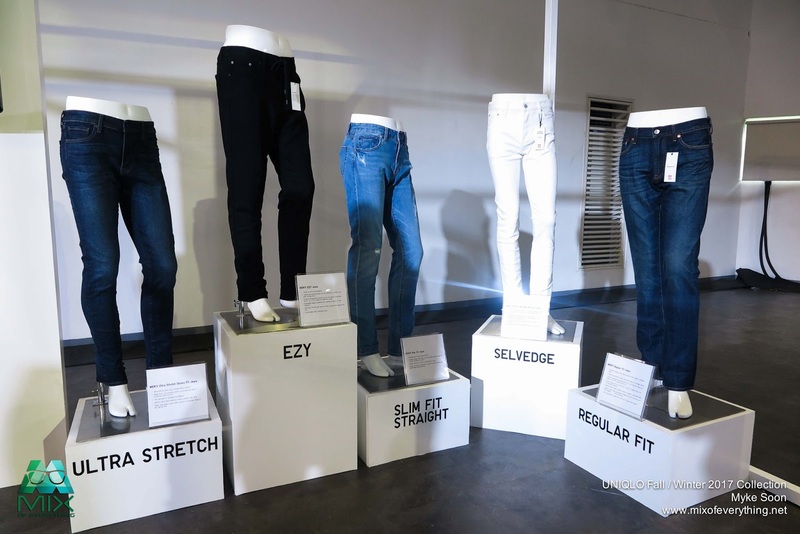 The brand established a JEANS INNOVATION CENTER in Los Angeles in 2016, this is where UNIQLO creates the best jeans for everyone, everywhere. With different styles and cuts catering to the different style everyone has making sure that they look exceptional and of course very comfortable to wear. 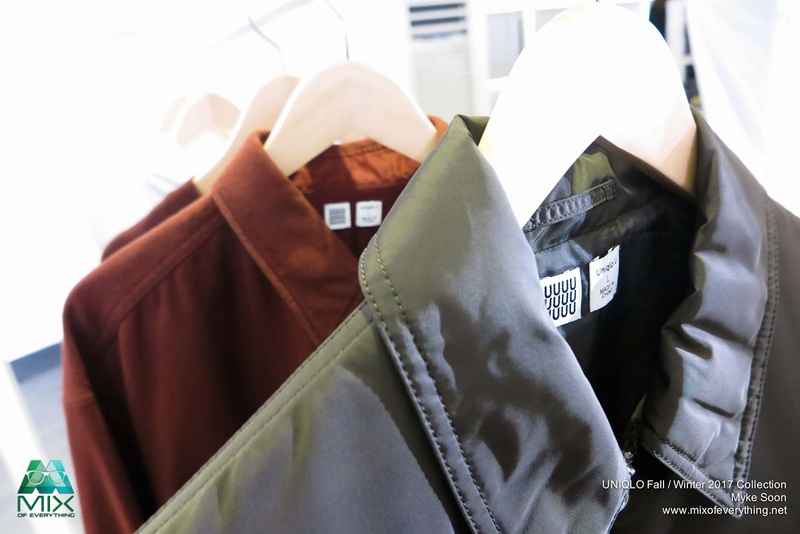 Uniqlo U is made & designed with Christophe Lemaire in Paris in their R&D Center. 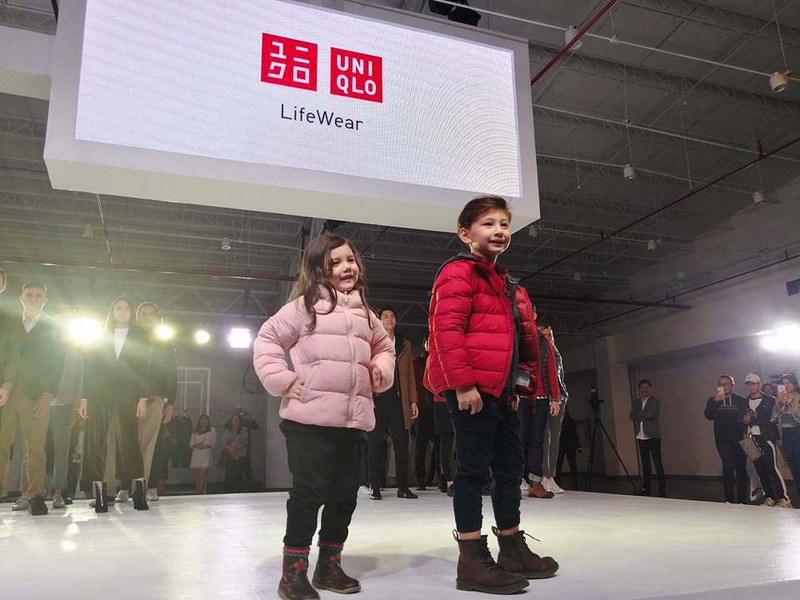 It represents the future of UNIQLO's LifeWear. 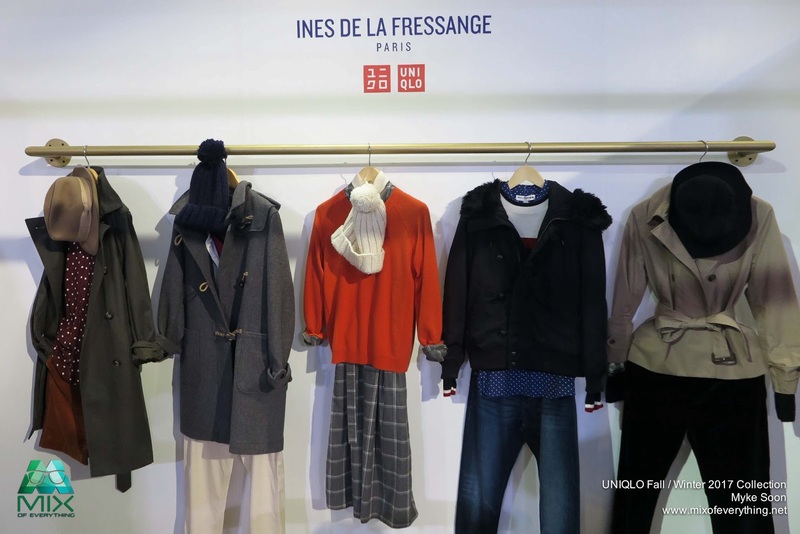 Since it birthed in Paris, it showcases the proud fashion traditions of Paris while incorporating new fabrics and cutting edge technology with the drive of revolutionizing clothing basics. 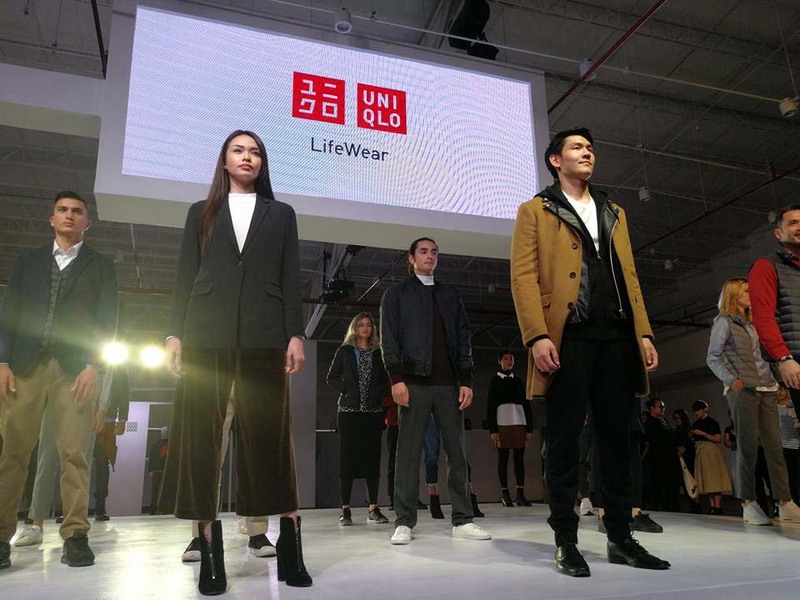 One of the highlights during the UNIQLO Fall / Winter Collection event is their collaborations with fashion designers and other personalities that complements the LifeWear concept of simple made better. 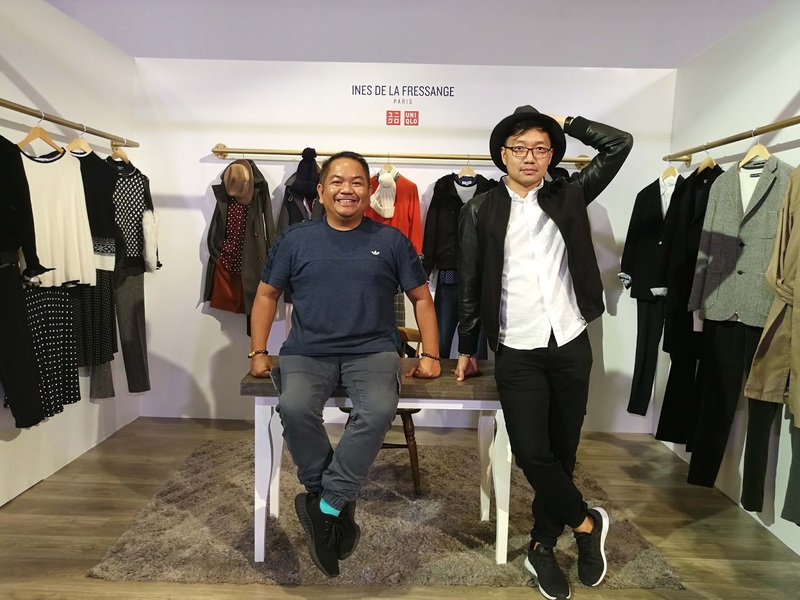 This is the eight edition of its collaboration with the French fashion icon. 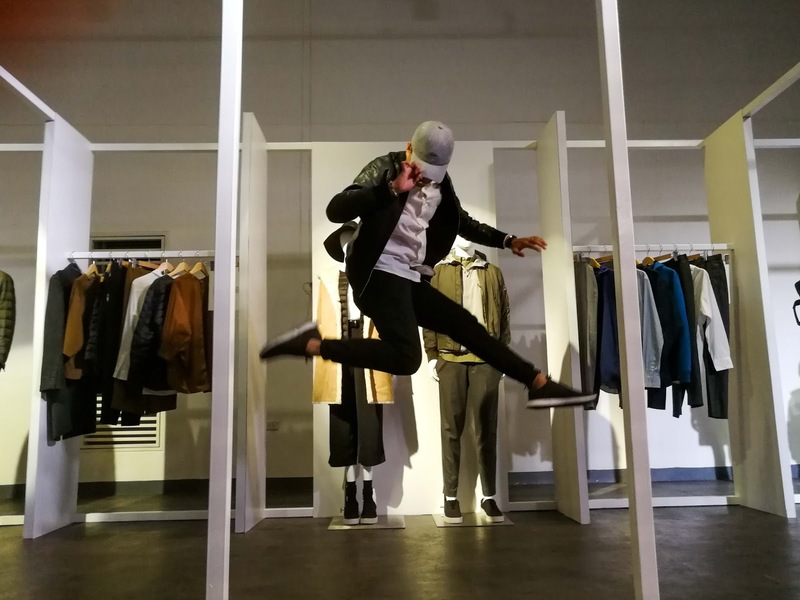 The latest installment includes the menswear, FINALLY!. 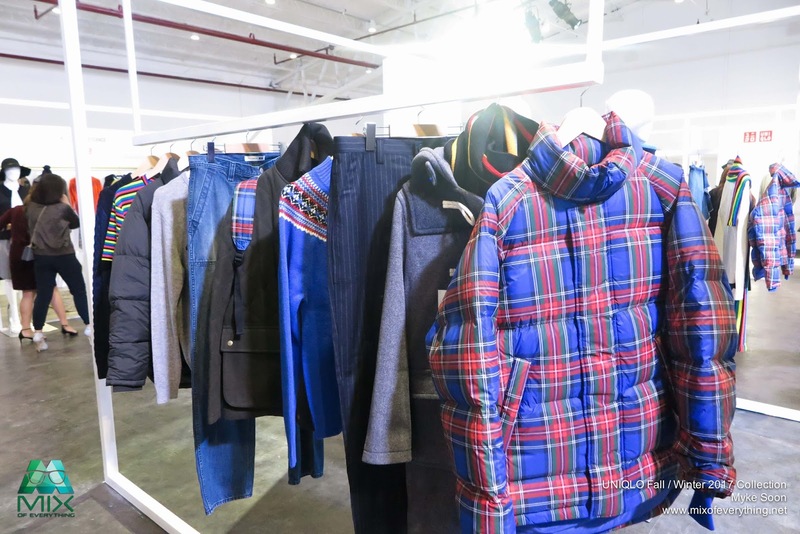 The much anticipated men's line showcases urban essentials with Parisian flair. like classic stand-up collares, tweet jackets and cashmere knits. The women's line on the other hand is a celebration of the elegance of the monochrome palette. What's also new here are the sports knits in vintage styles and classic Nordic sweaters. 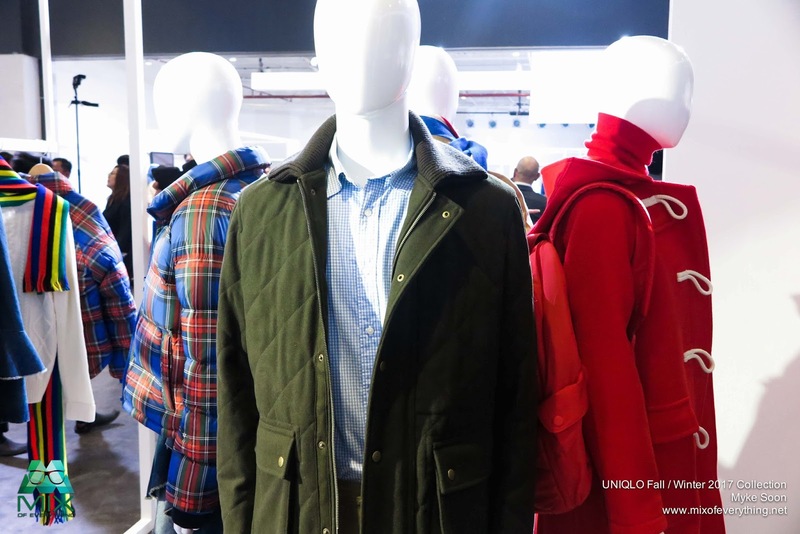 There are also some military style mod coats, duffle coats and fleece blousons. 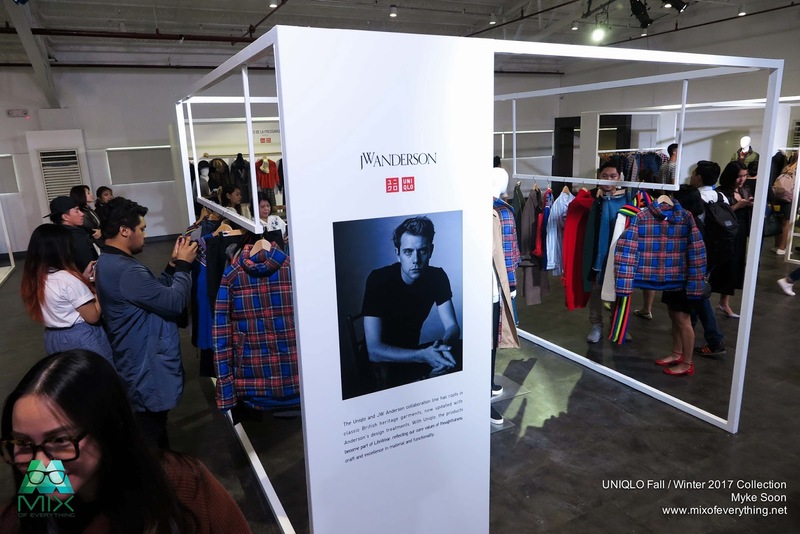 One collection that I was excited to check out was the UNIQLO x JW ANDERSON. Read more about it here. 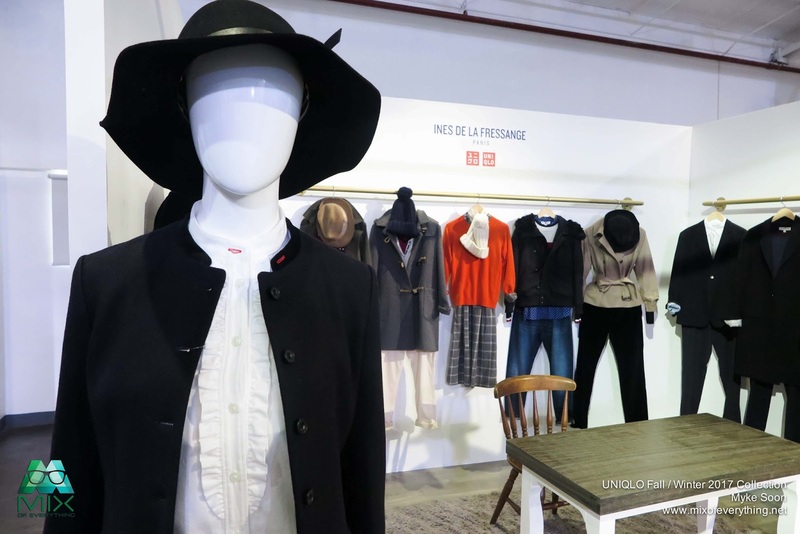 The collection is where British heritage meets LifeWear which includes pieces for men and women in time for the Fall/Winter 2017 season. 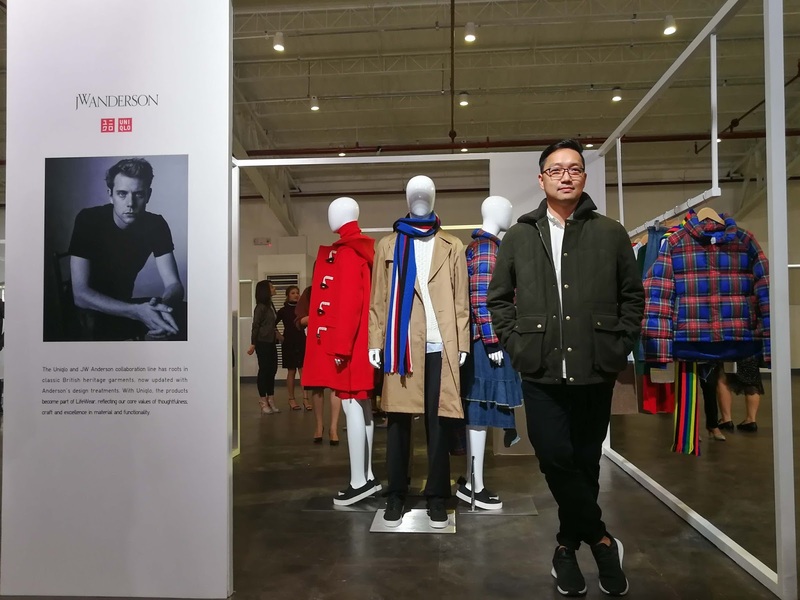 British fashion matched with comfort and style is my kind of collection. Not to mention amazing fit, quality fabric and or course, functionality. Now this particular jacket I liked! 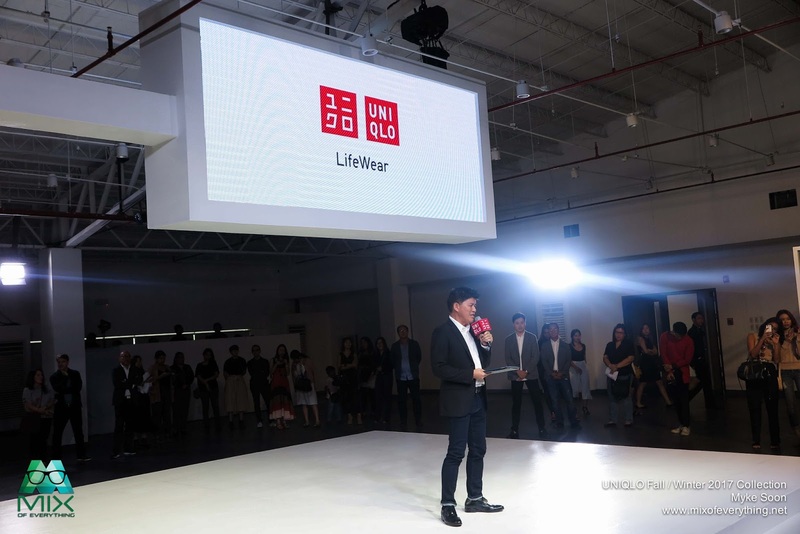 Cheers and congratulations to UNIQLO for the successful launch!